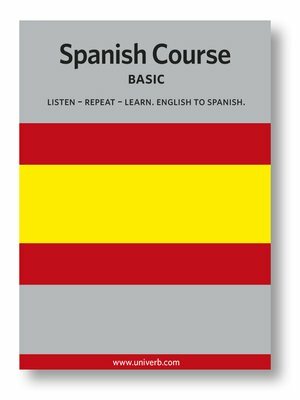 Learn Spanish with our Spanish Basic Course. The course contains of 3 hours MP3-file downloaded recorded material and 2 course booklets in PDF-format. This course is bilingual which simply means that every phrase you hear is first spoken in English then repeated slowly in Spanish, allowing you to easily obtain the correct pronounciation. The textbooks follow the chapters of the recording.